Eat more chicken! 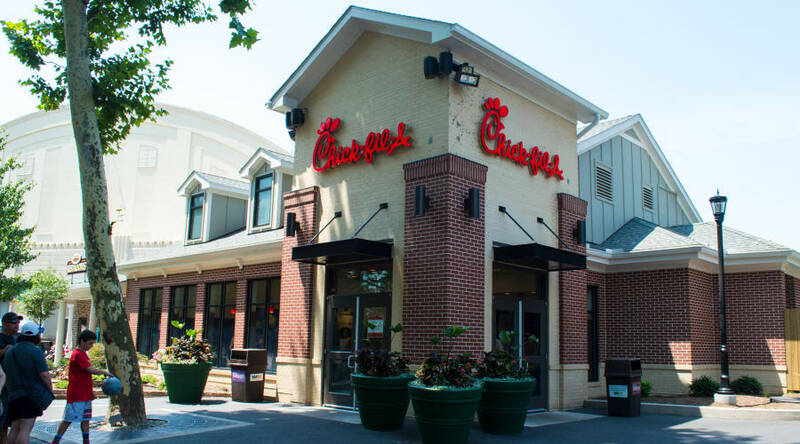 Open Monday - Saturday in the Pioneer Frontier; region, Chick-fil-A® is serving up delicious handcrafted favorites for lunch and dinner. Have a seat inside while enjoying our signature hand-breaded chicken sandwiches and fresh waffle fries or grab a hand-spun milkshake or fresh-squeezed lemonade! Please visit https://www.chick-fil-a.com/ for ingredients and nutrition information. Cookies & Cream, Chocolate, Strawberry, and Vanilla Please visit https://www.chick-fil-a.com/ for ingredients and nutrition information. Diet or Regular Please visit https://www.chick-fil-a.com/ for ingredients and nutrition information. Unsweetened or Sweet Please visit https://www.chick-fil-a.com/ for ingredients and nutrition information.